Henry Adams was born in Oxford in 1825 and baptised at St Mary Magdalen Church on 20 May. He was the son of James Adams (born in Wigmore, Herefordshire in 1790) and Mary Anne Perkins (born Blackley, Worcestershire in c.1791), who were married at Upton upon Severn on 14 July 1819. Henry's father had come to Oxford by 1817 and had been matriculated at the University of Oxford as a privileged person on 6 October that year in order to work as the butler of Worcester College. Henry had six siblings, all born in Oxford: Joseph (1820, died 1829), William (1823), James (1827), Frederick (1829), Mary Ann (1831), and Caroline (1834). At the time of the 1841 census Henry (15) was living with his parents and three younger siblings in Worcester Street in St Mary Magdalen parish in Oxford, and his father was still a butler. By the time of the 1851 census Henry Adams (25) had set up business as a saddler at 46 Cornmarket Street in St Michael's parish. Ann Clifford was born in Oxford in c.1822, the daughter of the carpenter John Clifford. At the time of the 1841 census she was a servant in the household in Broad Street of James Hunt, an accountant. On 16 January 1854 at St John's Church, Brixton, Henry Adams, a 29-year-old saddler, married Ann Clifford (31), who was living at Milbrook Road, Brixton at the time of the wedding. They do not appear to have had any children. 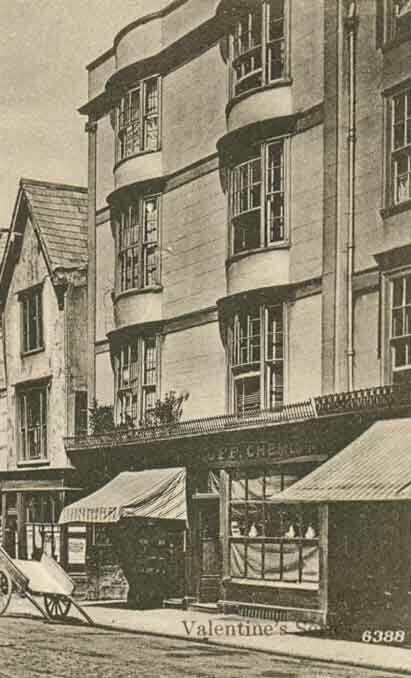 At the time of the 1861 census, Henry Adams (35), who was now employing one man and one boy in his saddlery business, was living at 25 Cornmarket Street with his wife Ann (36) and their servant. † Henry Adams died at 25 Cornmarket Street at the age of 36 on 21 October 1861 and was buried at St Sepulchre’s Cemetery on 25 October (burial recorded in the parish register of St Michael's Church). His effects came to under £1,500, and his widow Ann was his sole executrix. In 1863 she married the widower John Moss (see below). John Moss was born in Newbury, Berkshire in c.1803. Annie Agnes Moss (born in Newbury in 1850). At the time of the 1851 census John (47), a schoolmaster, was living in Market Place, Newbury with his wife Ellen (38) and their children Maria (15), Edwin (11), and Annie (six months), and Ellen's daughter Mary Ann Crippen (18). In 1861 John (58), described as a schoolmaster (commercial), was living at Speenhamland, Newbury with his wife Ellen (48) and their son Edwin (21), who was a bookseller's assistant, and his stepdaughter Mary Crippen (38), plus a servant. Mrs Ellen Moss died in Newbury near the beginning of 1863, and later that year in Oxford (reg. third quarter), John Moss married Mrs Ann Adams, the widow of Henry Adams above. Ann was aged about 42 at the time of her second wedding, and does not appear to have had any children. At the time of the 1871 census John (68), described as a retired schoolmaster, was living at 4 North Parade Terrace with his wife Ann (48), plus their lodger and servant. † John Moss died at North Parade Terrace at the age of 74 on 27 January 1877 and was buried at St Sepulchre’s Cemetery on 31 January (burial recorded in the parish register of St Michael's Church). His effects came to under £1,500, and his executors were his wife Ann and John Rogers, a jobmaster of New Inn Hall Street. 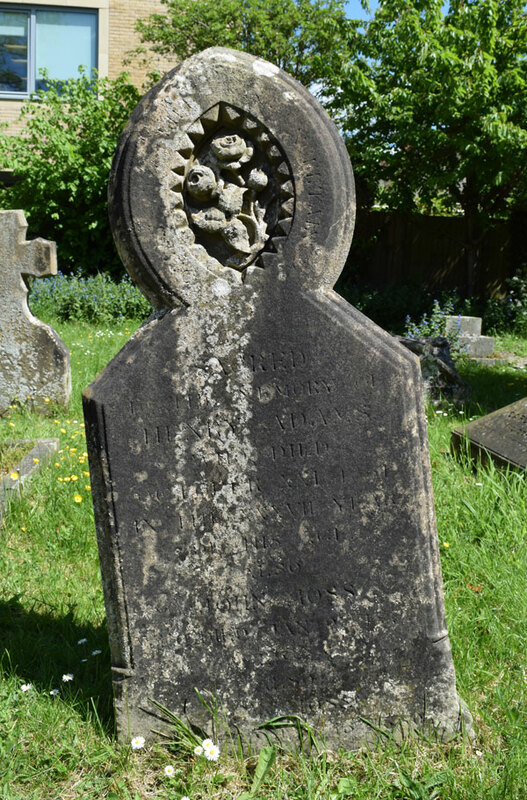 † Mrs Ann Moss née Clifford, formerly Mrs Adams, died at North Parade Terrace at the age of 56 on 15 January 1880 and was buried at St Sepulchre’s Cemetery on 20 January (burial recorded in the parish register of St Michael's Church). Her effects came to under £450, and her sole executor was her stepson Edwin Moss, a Great Western Railway clerk at Reading.